Jocie: Southern Jewish American Princess, Civil Rights Activist by Jocelyn Dan Wurzburg is a non-fiction memoir about Jocie’s life experiences, both in her personal and her civil and work life. After a brief introduction, the book is divided into sections revolving around specific areas of Jocie’s life such as her early years and Jewish family background, her marriage and children, her involvement with the Civil Rights Movement, her experiences as a lawyer, her experiences meeting inspiring men and women from various walks of life, her travel tales, her music tales, her thoughts and views on politics, racism, and feminism, and much more. There is also a short bio of Jocie at the end of the book along with her accomplishments. Jocie is an inspiring book and is really a reminder, especially for women, of where we have come from in fighting for basic voting and human rights to present-day third-wave feminism. It also shines a light on racism and hate violence in the world. It is wonderful to read about Jocie’s gradual involvement in the Civil Rights movement and get an insider perspective on those days and times. There are so many parts of the book I loved that it is hard to pinpoint a few, but the section on her memories meeting various people—quite a few that are well-known or in politics—was very interesting, among many others! 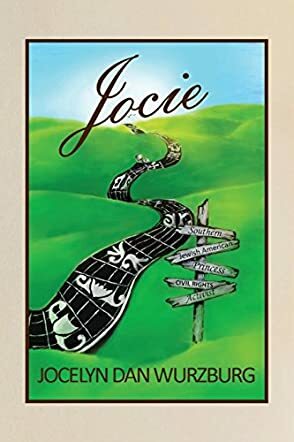 Jocie writes in such a fun, engaging, candid way that this book becomes part-memoir, part-adventure, and part-motivational to continue the cause of social justice. A must-read book for everyone!